Robert Fox is a master of his art; breaking the boundaries of magic and psychological entertainment, taking it to a new and advanced form. Robert’s combined his background of magical expertise with an ability to read, manipulate and predict human behaviour to create an engrossing and captivating form of entertainment. His truly remarkable SKILLS and EXPERTISE mean YOUR EVENT will be REMEMBERED FOREVER. If you want your event to be uniquely memorable then book Robert now, before somebody else does. I've been entertaining at children's parties, in clubs, pubs, shopping centres and corporate events and have made many appearances on television over the last 24 years. The Royal Family, British Airways, Royal Borough of Kingston upon Thames, London Borough of Hounslow, Old Orleans Restaurants, Bluebecker Restaurants, Lakeside Country Club. During my time in Wiltshire, I have also worked for Nursery Thyme Ltd in Devizes, Calne Town Council, along with many children's birthday parties. Kevin Cann has been entertaining and baffling audiences with magic and mindreading for over 13 years. Ideal for Weddings, private parties & corporate events. Magic performed in front of a seated audience, with a bit of added banter! popular and is ideal for providing something a bit different, such as spoon bending or predictions. He is based in Hillingdon, Uxbridge near Heathrow, ideally placed for events at the Heathrow hotels, Central & West London and within reach of the M4, M40 or M25. 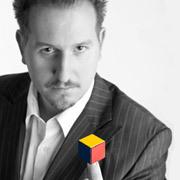 Mike is an award winning close-up magician and children's entertainer and has been working professionally since 1982. He is also a member of the Inner Magic Circle with silver star and a member of Equity, the actors and variety union. Mike performs magic all over the UK and has worked with some of the biggest names in Show-business. Ravi was born in Isleworth, England soon after his parents immigrated to Montréal, Canada where he grew up. It was in Canada where Ravi's international adventures began. after receiving 2 diplomas, one in Social Science, the other in hospitality management and winning numerous magic competitions, ravi decided to explore the world. using his education, magic and dual citizenship (Canada and England) ravi mixed, mingled and mystified across 3 continents entertaining over 45 nationalities. "throughout my journey i performed my magic using it to cross the language and cultural barriers"
Ravi used his magic to compliment his business career, then soon learned that he could use his business experience to build his entertainment career. three Samsung mobile phone commercials, the brit awards after party 07, he flora london marathon 06/07, 50 cent/ g unit " get rich or die trying" movie premier after party, Michael ballac's new years eve private house party, west end celebrity haunts (funky buddha, rococo, tiger tiger, cc, play room, and browns nightclub) promotional companies halo, sintillate, nick house entertainment.